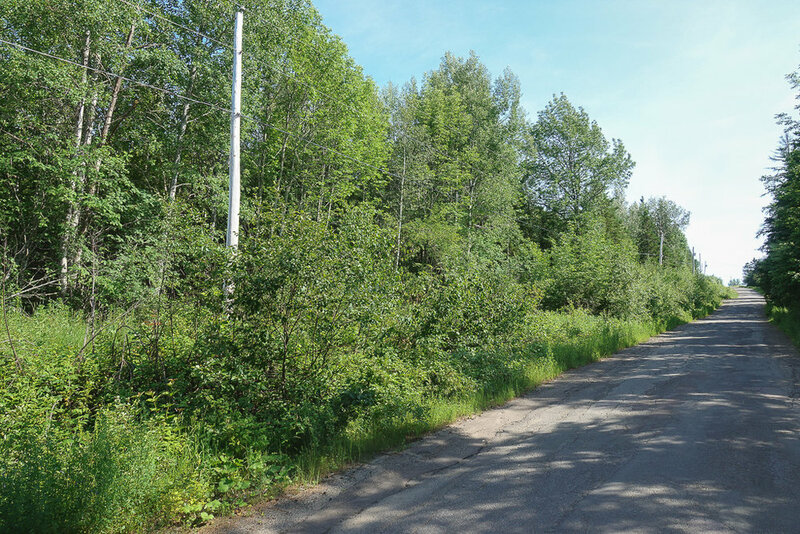 2.3 acre lot along Boyd Mountain Road in the charming community of Elgin, New Brunswick. 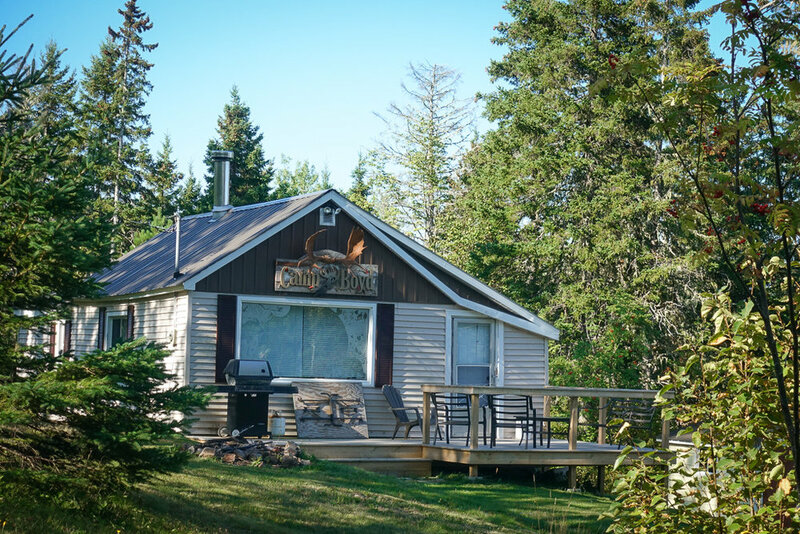 This is a great setting for your recreational and investment property and as weekend getaway - a popular area for outdoor enthusiasts - ATVing, snowmobiling, hunting, hiking and fishing. Less than one hour from the City of Moncton. Location: Elgin, Albert County, New Brunswick. 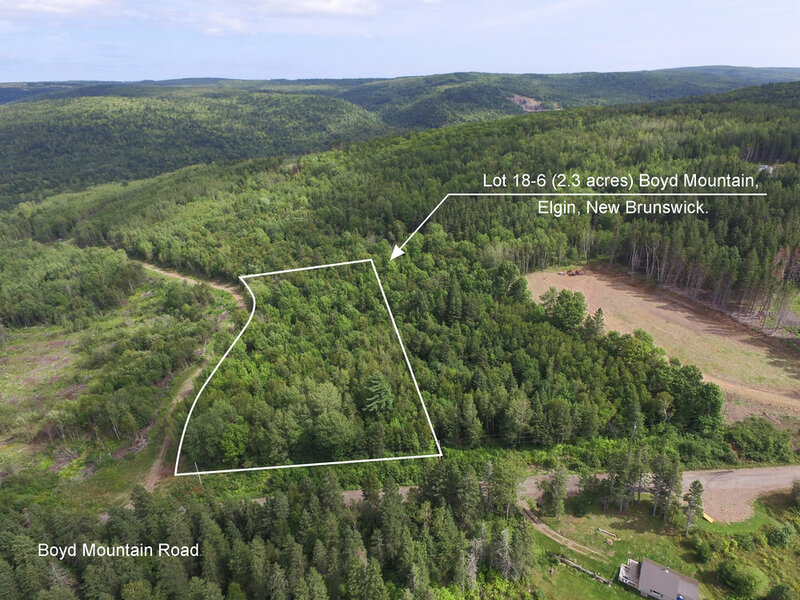 Here is an overhead view outlining Lot 18-6 (2.31 acres) at Boyd Mountain Road, Elgin New Brunswick. Looking down the road frontage of Lot 18-6 on Boyd Mountain Road. Your lot has 270 feet of road frontage. Looking up Boyd Mountain Road - Lot 18-6 is on the left. This picture was taken within the lot, which is treed throughout. 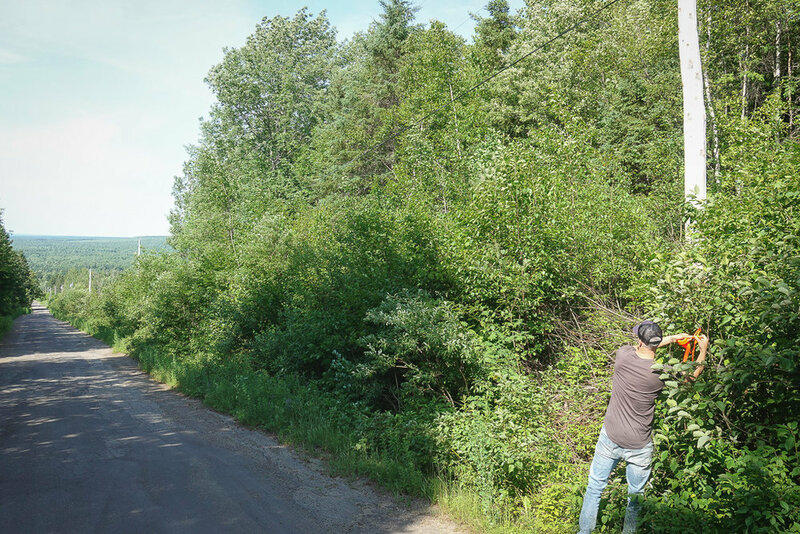 Another picture taken on the property - Lot 18-6 Boyd Mountain Road, Elgin, New Brunswick. Neighboring property on Boyd Mountain Road. Just above your lot are these newly cleared properties and new construction. This is becoming a very popular area for recreation property. 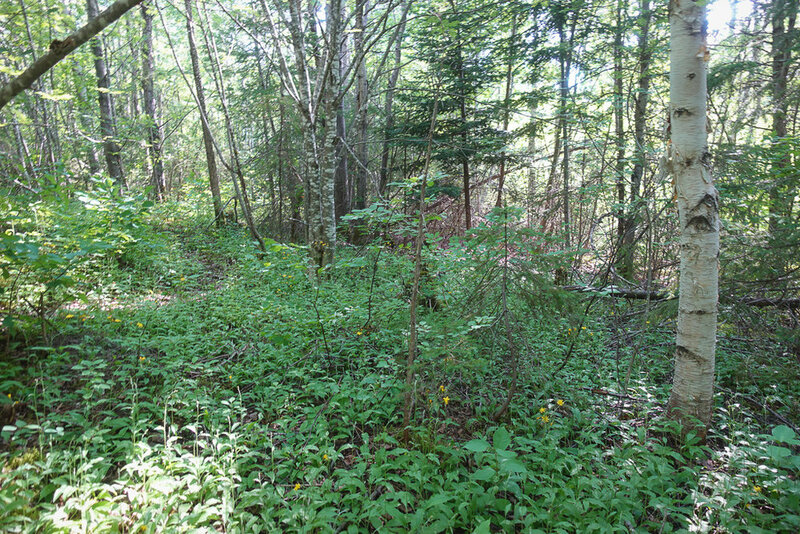 The terrain of Lot 18-6 is very similar to what is pictured here. Elgin, New Brunswick on River Road. Boyd Mountain Road to your left. 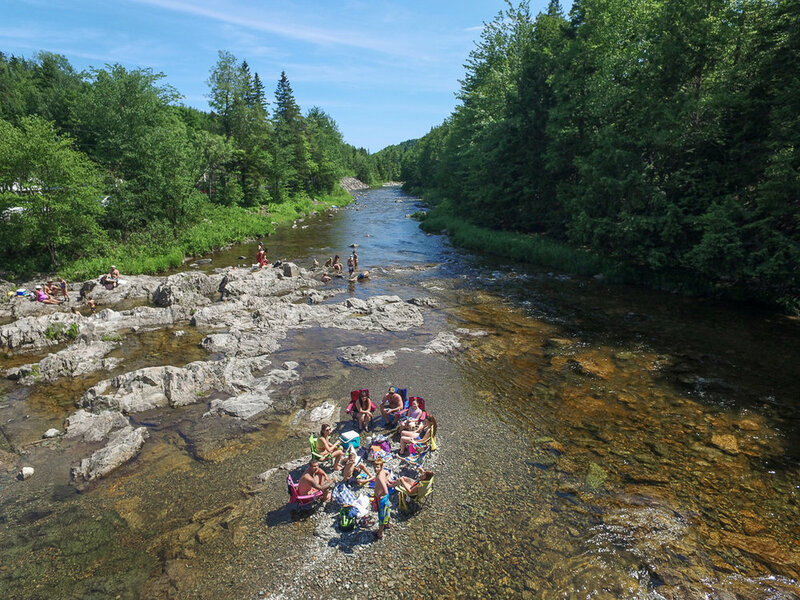 Nearby Pollett River and Gordon Falls is a popular spot to cool of and enjoy the river on a warm summer day. Pollett River, Elgin, NB. Just a couple minutes from the land. 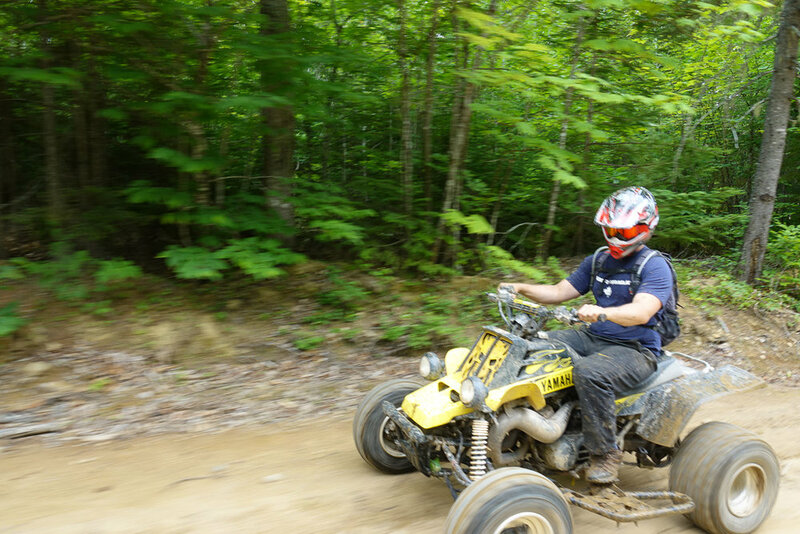 ATV and snowmobile trails in the area are incredible. 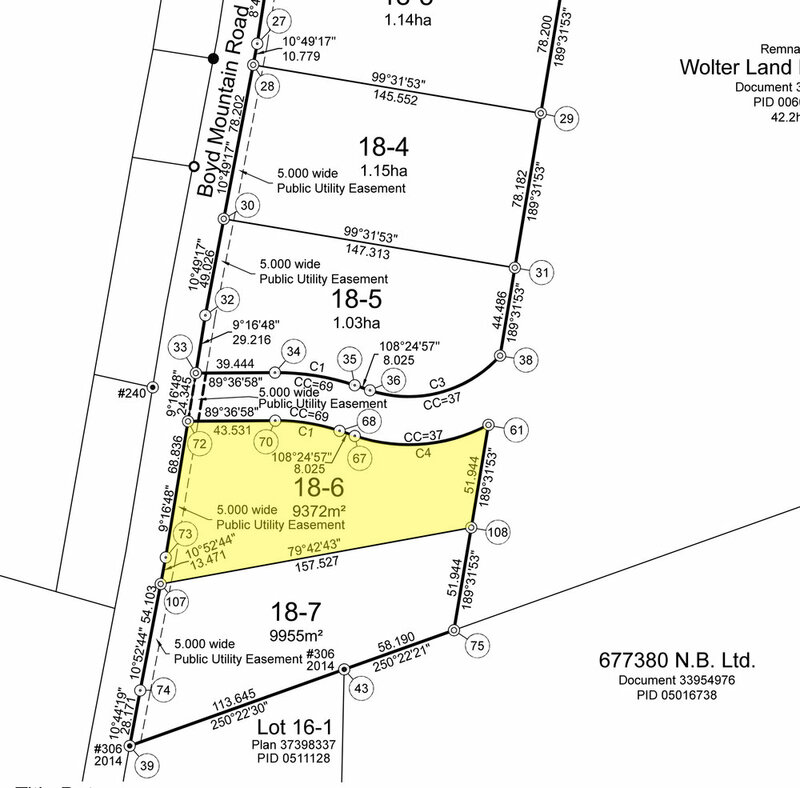 Here is a land survey highlighting Lot 18-6 (Ref # NB-136). Measurements are shown in meters. 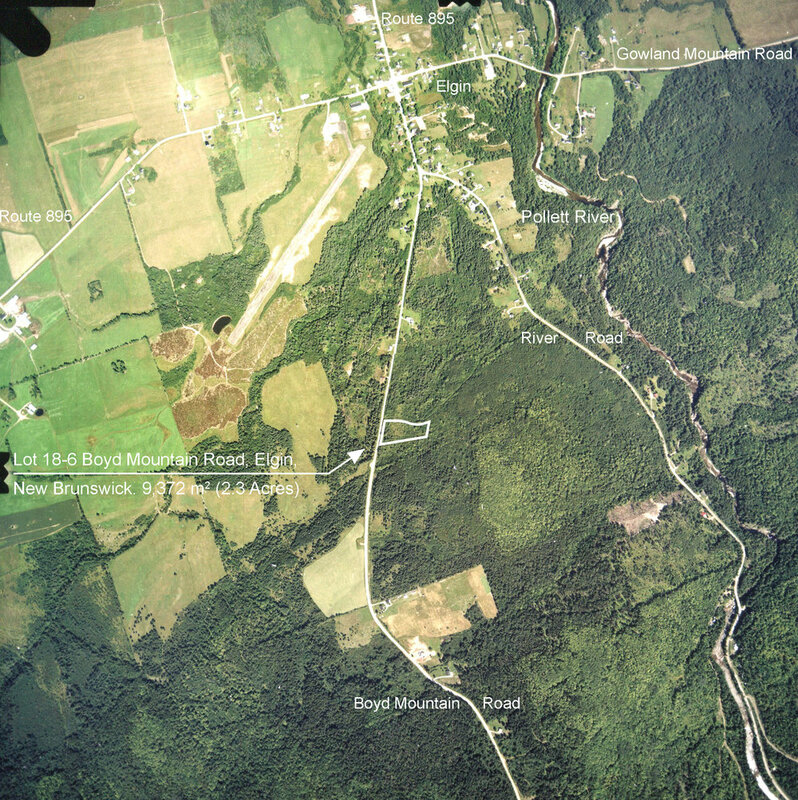 Air photo showing the location of the property at Boyd Mountain Road, Elgin, New Brunswick. Map showing the location of your land. The City of Moncton is under an hour away by car. Fundy National Park is just 30 minutes away. 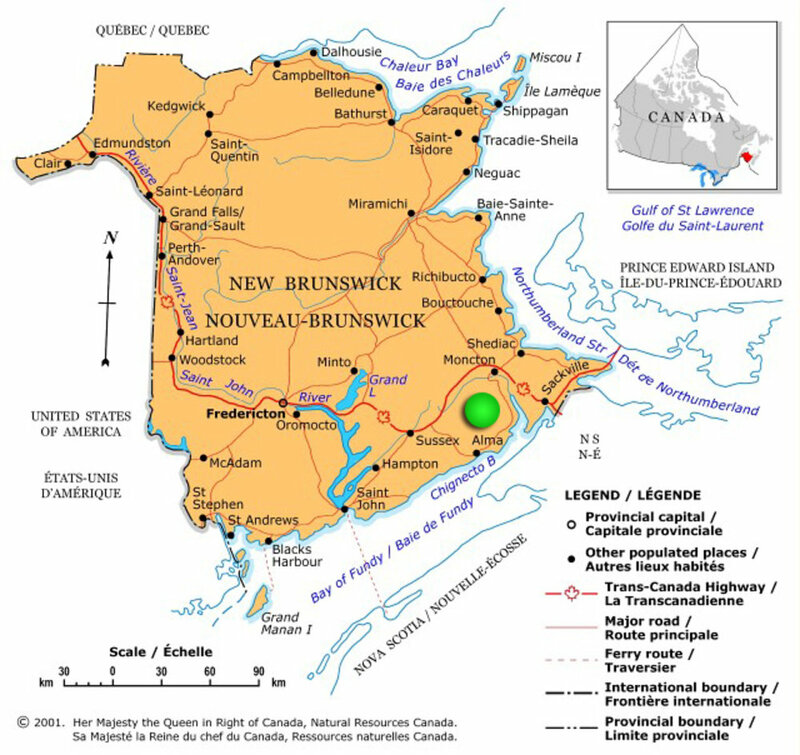 Here is a map of the Province of New Brunswick indicating the location of your land (green dot). - Access via Boyd Mountain Road through Elgin. - An excellent site for a recreation cabin, retirement home, country residence. - Maturing Poplar trees on the land. - Within the community of Elgin – population of 1,000 with post office, fire hall, café, community centre and playground. - Near the Pollett River – a great place to cool off on hot summer days and fishing during in season. - Excellent hunting, ATVing and snowmobiling at your doorstep. This is a wonderful treed building and recreation lot up along Boyd Mountain Road. Great elevation, good dry ground that drains well and within the charming rural community of Elgin and local amenities. Topography of the land is sloping from North to South with an elevation measuring between 170 meters and 180 meters above sea level. A land survey was recently completed and the lot is very well marked. The northerly boundary measures 160.874 meters (527.802 feet), easterly boundary measures 51.944 meters (170.420 feet), southerly boundary measures 157.527 meters (516.821 feet) and westerly boundary following Boyd Mountain Road measures 82.307 meters (270.036 feet). 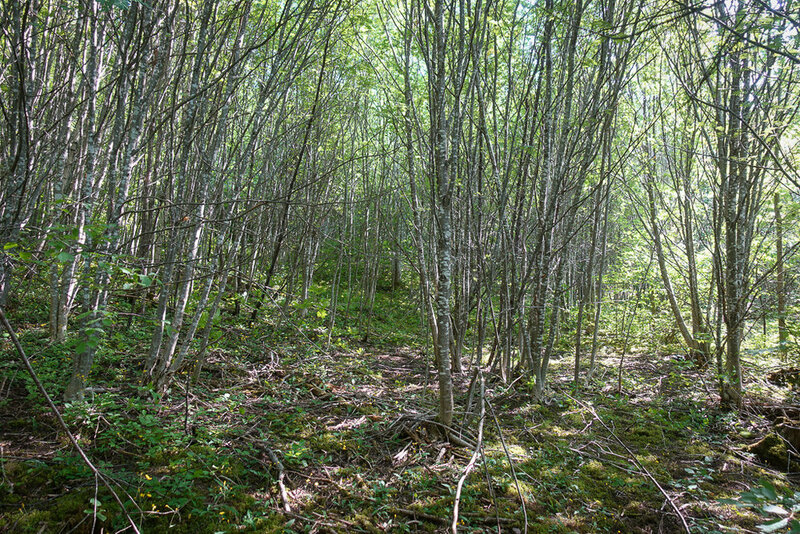 The land is nicely treed throughout in maturing poplar, birch, maple and evergreen trees. 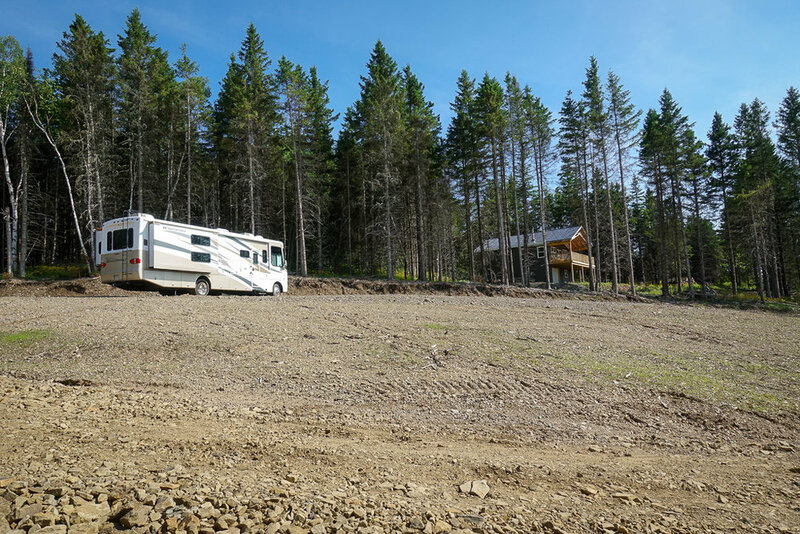 Access to the land is excellent in all seasons with snow removal in winter months. 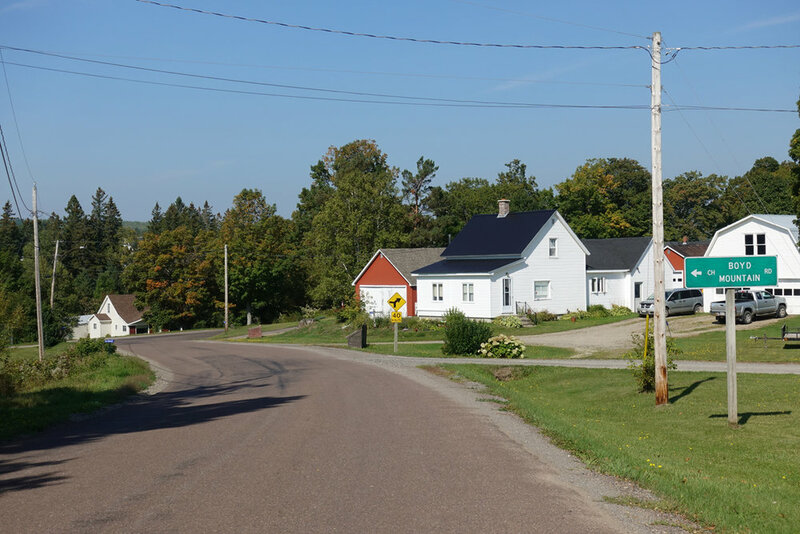 Maintained paved highways from the Provinces three main cities of Moncton, Fredericton and St. John take you to the community of Elgin. From the main intersection in Elgin follow Boyd Mountain Road south and you have reached your land in just 1.3 kilometers. There are many very well kept homes and cabins along Boyd Mountain Road as you drive to your land. Continuing south past your land on Boyd Mountain Road the area is lightly settled with beautiful panoramic views of the farms and woodland around you. The summit of Boyd Mountain sits at an elevation of 320 meters. The Pollett River, just around the corner via River Road at Elgin runs north from Elgin up to Petitcodiac. 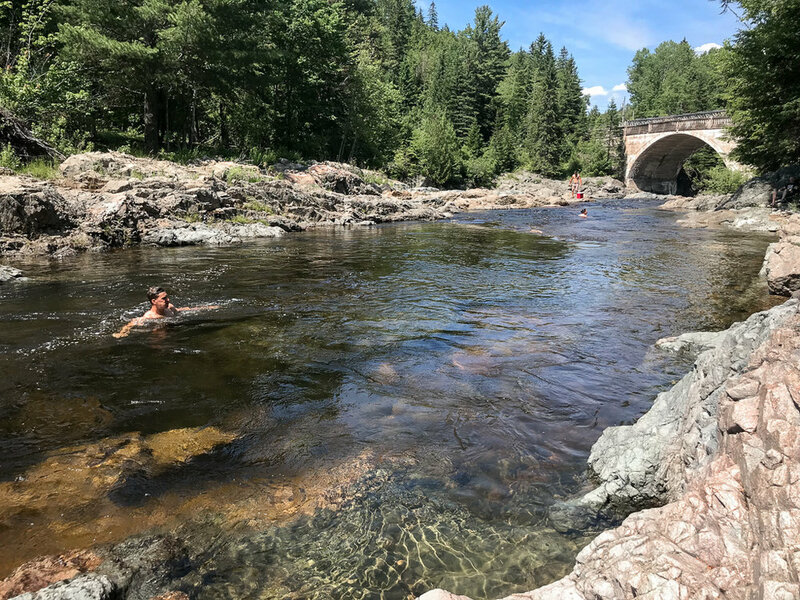 Pollett River offers challenging canoeing and kayaking voyages during high water levels and is a relaxing place to swim and cool off on those warm summer days. 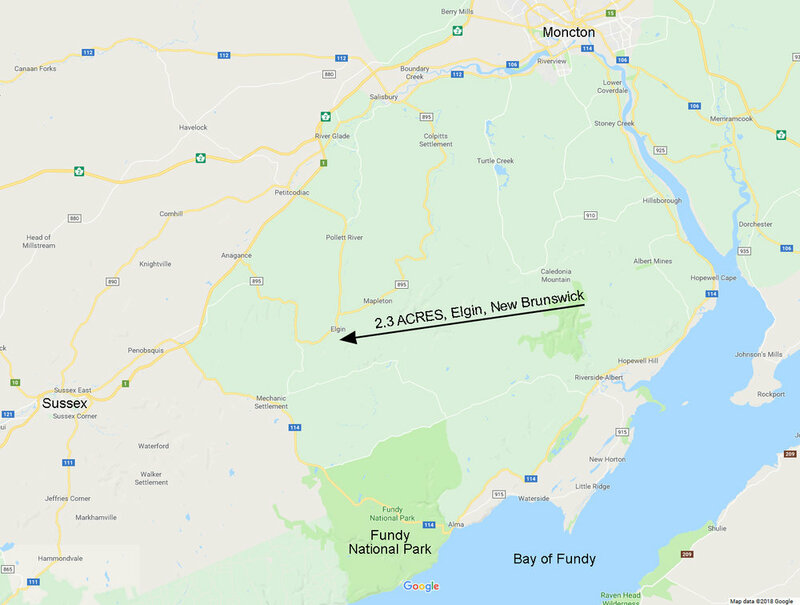 The major activities in this area is forestry mixed with light agriculture, including dairy and beef production, as well as maple sugar and wild blueberry production.